What a great deal! I could always do more shopping at Target! Target Cartwheel really has some great deals. Thanks for sharing this one! Thanks for letting me know about this awesome deal. IAMS is one brand that my fur baby loves. I am going to take advantage of this offer! Fun! I love target! This looks like an awesome brand. I'm not a pet owner but I have lots of friends who are! Wow thanks great deal! My dog eats Iams so why not get $10?! This is a really nice bonus! Now is a good time to get some extra Iams food at Target. I love Iams dog food!! I hadn't seen this deal at Target yet, what a great time to stock up on it! Great deal! It's too bad we don't have Target in Canada! Thanks for the heads up! We use Iams puppy food so I will do this. Great deal and Target is a good place to get dog food too! That's a very generous deal and treat for dog owners to enjoy! Awesome deal! 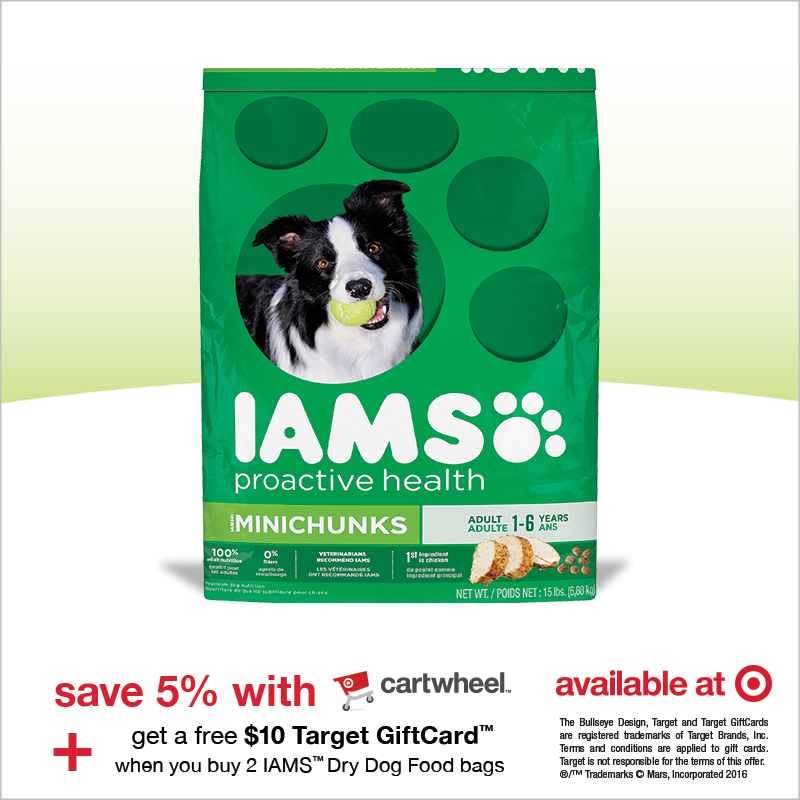 I love both Iams and Target, thanks for sharing! Sounds like a great deal. Perfect time to stock up! Love Target! Ooooh! Coupons are always a good thing! Got to same money when you can! I love it when Target has gift card deals! !